Our annual campaign is off to a great start. Thank you all for your donations. 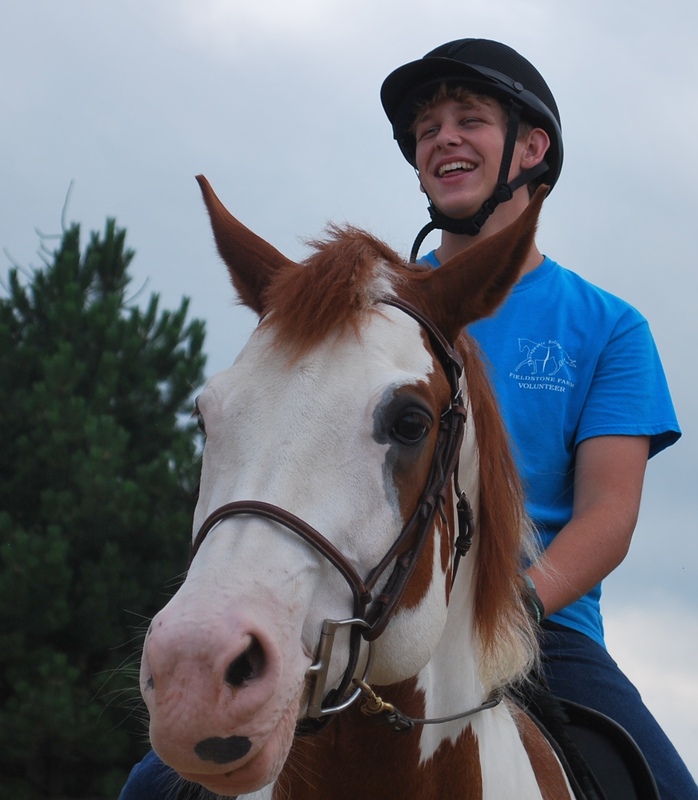 Your contributions help make it possible for many to experience the therapeutic power of our horses. If you would like to donate online, please scroll down to the Donate button below. Your donation has a significant impact on our students’ lives as you help us to provide quality programming to these special participants. We are grateful to be able to continue to serve nearly 1,300 clients annually because of generous support from the community. Thank you! The “Donate” button below will allow you to use your credit card to make your contribution securely. During the donation process, please put your address in the Shipping Address section. In the payment notes field, please indicate that your payment is a donation. If your donation is in honor of or in memory of someone else, also include the name and address of the person who should be notified that a donation was made. Donation amounts are not disclosed in the acknowledgement. Donors will always receive a separate written thank you letter which serves as their tax receipt. If you do not wish to make an online donation, you may also mail in donations to Fieldstone Farm, 16497 Snyder Road, Chagrin Falls, OH 44023, Attn: Maureen Foster. To ensure that we have all the information necessary to generate your tax receipt letter, please fill out a donation form and send it with your payment.